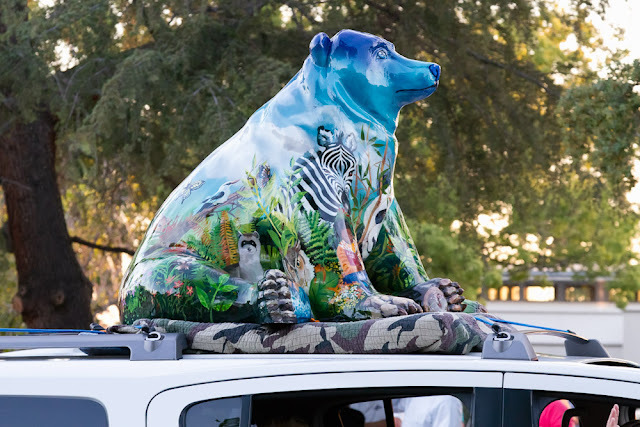 "Bearlovian Paradise" Artist: Lynne Fearman Sponsored by: The Friends of the Monrovia Public Library. 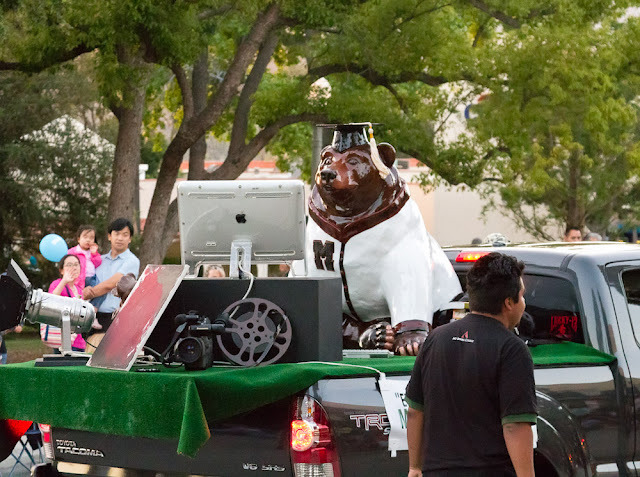 "Eddy For Education Bear" Sponsored by: Mt. 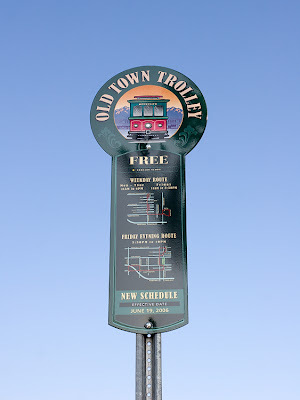 Sierra College. "Day and Night in Monrovia Bear" Artist: Ji Park Sponsored by: Dr. Domotor's Animal House Veterinary Hospital. 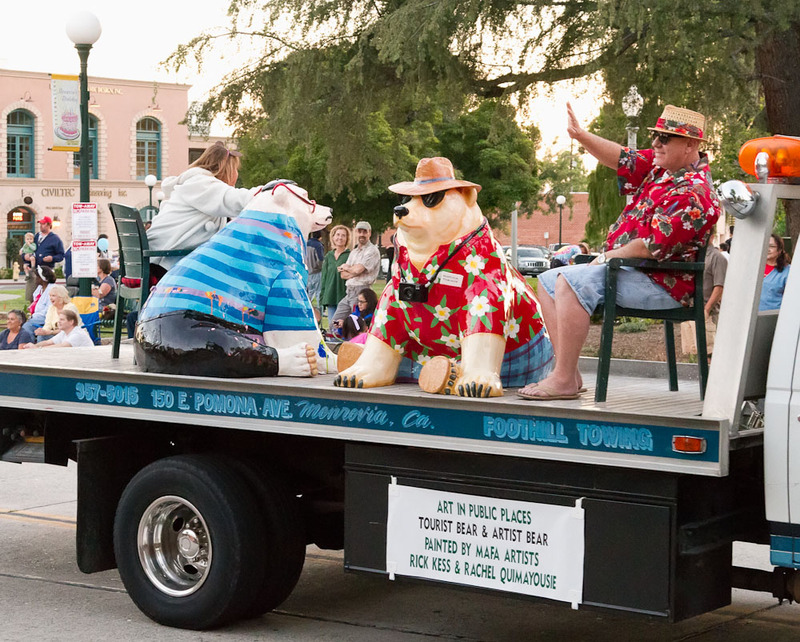 "Artist Bear and Tourist Bear" Artists: Rachel Quimayousie and Rick Kess Sponsored by the Art in Public Places committee. 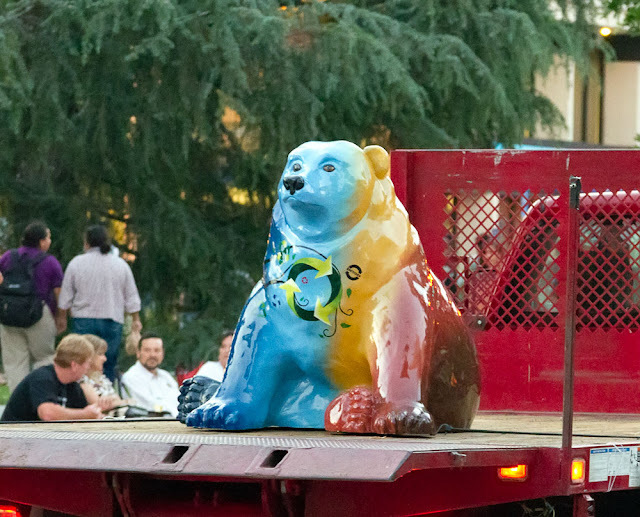 "Recycle Bear" Artist: Sybil Martinez Sponsored by Athens Services. 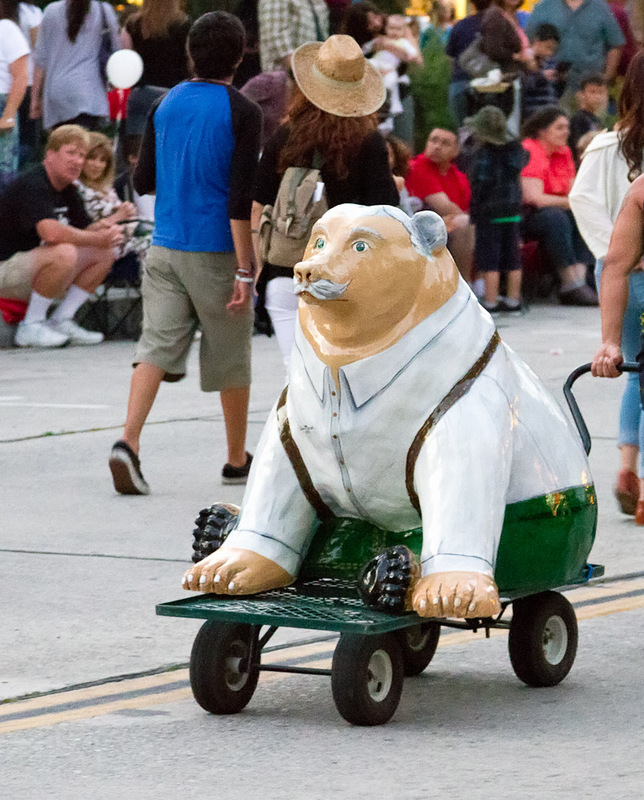 "Delilah Bear" Artist: JoAnn Nolan Sponsored by Creative Woman / Wizard of Bras. 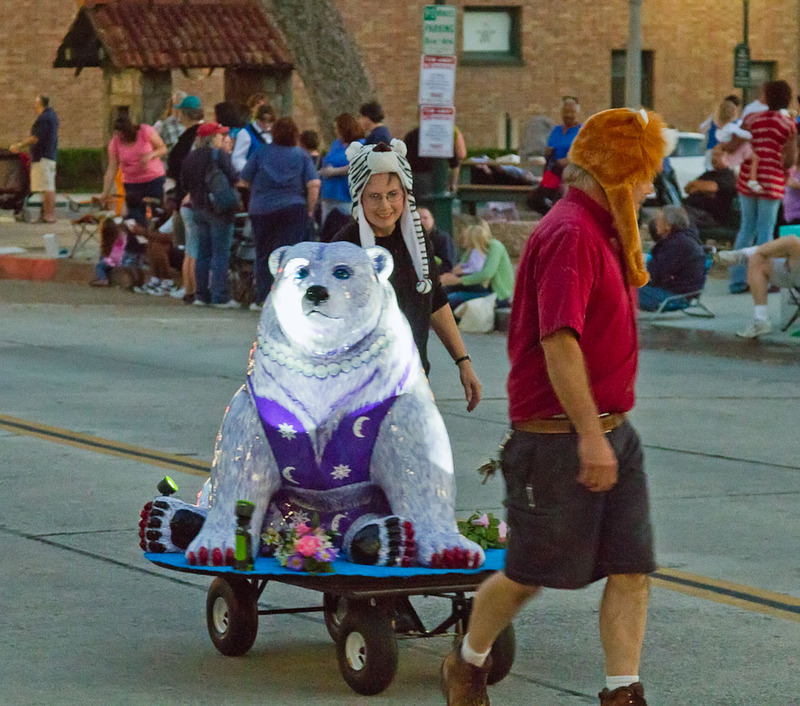 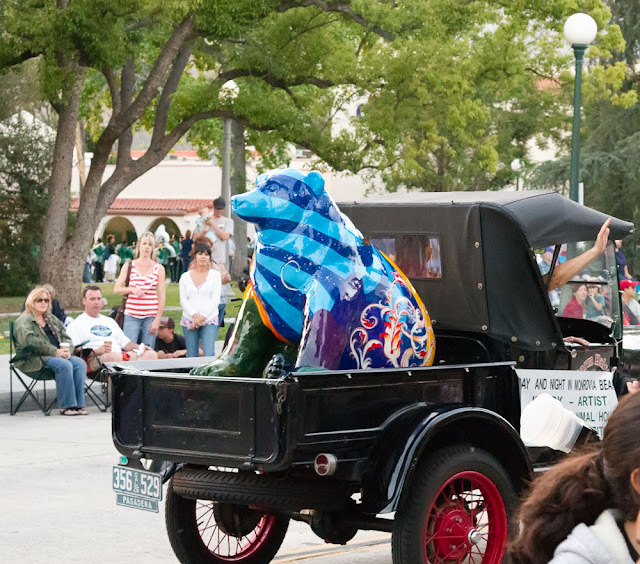 Pas Adj: The parade ain't what it used to be, but the artists did an amazing job with the bears.